The Aluminum tubing can be bent and formed readily and also has excellent weld ability. Also the tubes are resistant to corrosion and possess excellent strength.So the seamless tube is also widely used for Motorcycle Accessories.YF aluminum alloy seamless tube adopts indirect extrusion method and solid extrusion casting perforation technology, basically eliminates the possibility of the defects and bad appearance. Going through cold drawing procedure after extrusion processing,it will get harden and reduce eccentricity of the tube therefore improve the quality. 1) Payment: 30% T/T in advance, 70% balance pay before delivery. L/C at sight. 2) Delivery time: 20 days after deposit receiverd. If opening mould, plus 7-10 days. 3) Trade Term can be chosen depending on your requirements. Changzhou Yifei Machinery (Aluminum) Co.,Ltd is located in Changzhou, Jiangsu Province, about 120km from Shanghai. The transportation to shanghai port is very convenient. Yifei is specialized in developing, machining and selling various kinds of precious aluminum tubes, profiles and bars. The aluminum products are widely used in printers, copiers, OA equipment, auto parts, electronic industry, pneumatic components, sports equipment, etc. 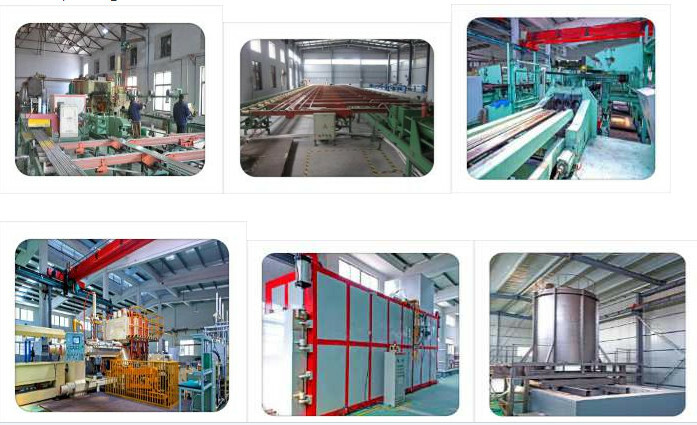 The main manufacturing equipment of Yifei includes extrusion line, drawn line, anodizing line, CNC. We export to grobal market, mainly to Japan, Newzland, Australia ,southeast Asia,North America, Europe,etc. Company Name: Changzhou YiFei Machinery Co., Ltd. Factory Location: No.48 Ronghu Road,Hengshanqiao Town,Changzhou City,Jiangsu Province,China .